Keep your Windows PC safe from Malware by following our helpful guide. Microsoft Windows 10 is the most popular operating system for desktops and laptops. That is why it is targeted the most for attacks! In this guide, you will learn about how to have a 100% Malware Free Windows 10 PC. Getting a malware infection pretty dangerous and if you are a business, it could cost you a lot of money. We will share some of the best tips you can find online on staying safe from Malware. You have my word that if you follow this article, you will not encounter such a threat in the future. Make sure all of your programs installed on the system are regularly updated. Not only your software but also your OS needs to be up to date. The benefits to keeping everything to the latest version is that it will have all of its vulnerabilities patched in the newer release. Malware creators always try to exploit vulnerabilities in popular software. This is what leads them to enter your system a weakness! 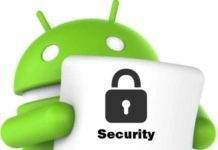 Having your apps and operating system up-to-date at all times can also decrease the risk of you being infected. Keep checking if there are any updates and set your PC to update automatically. Only download from official websites of the software you want to install. There are many other sites on the web that may offer them, but which can provide you a malware infected version that can affect your PC! 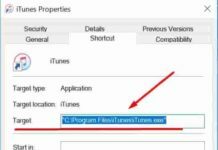 Only use places that are reputable and perform any scan on the software they upload before you can proceed with the installation. If you do not feel that a website is not safe and has many of those pop-up ads, fake download buttons then leave that site. Research what software you want and find the official authors website. You can use Norton Safe Web browser extensions or Web of Trust extension to verify a website’s reputation if it’s good or not. We have all seen this pop-up appear whenever we are about install something. Please do not ever click on ‘Run‘ if you don’t know what program it is and from where you got it. Scan the file with your antivirus program and an on-demand scanner as well. 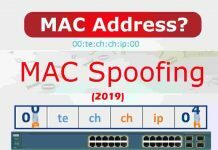 Only if you can, try to run it in a sandboxed environment to see if it’s malicious or not. Do an online search and see if other people have installed it, read their reviews. You also need some security software to keep everything extra secure. Having an Antivirus and an on-demand scanner on your PC gives you an edge over some common computer threats. They provide you an extra layer of security, as nearly all security software scan the URL’s before you open the website to check for malware and other viruses. Scans your PC in real-time for threats, viruses and malicious activity. 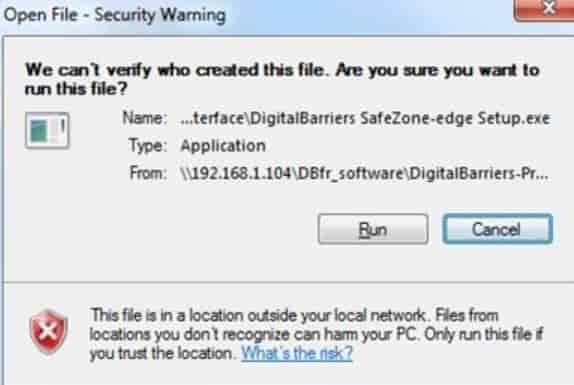 Blocks any virus or malware from entering your PC in the first place. Keeps your PC’s performance good and does not let it slow down. Some also come with a VPN (Virtual Private Network) built-in to add extra security and privacy. Protects your identity from being stolen and stops anyone trying to spy on you using viruses like spyware, trojans, and keyloggers. You can read our guide on the Top Free Antivirus for Windows 10 PC 2018. You should also learn more about the ways to keep your computer safe from viruses. Anyone can publish or make a website and publish it on the internet. Do not believe everything you read on the web. Make sure the source is trustworthy and reliable before trusting their articles. You will get tons of random pop-ups while visiting websites that you won an iPhone an Android or even you have won the lottery. On every occasion avoid these, they are all scams and are not true. Many sites will ask you to complete a survey. They will ask for your personal information and will claim to give you a prize at the end. These are all fake stay away from them at all costs. Do not open emails that you were not expecting and did not click on links in an email received from an unknown sender. Some malware also infects your browser and make it redirect to malicious websites. These malicious sites can silently install malware or can redirect you to a phishing page to steal your credentials. Always check the web address and double check the site before entering any login information. We recommend using ‘Google Chrome‘ for web browsing as it is more secure in compared to others. It warns users if the site they are visiting ahead contains malware. If you see many different ads and suspicious toolbars, extensions appearing try to reset your browser. Keep scanning your PC every couple of days with both programs. Try to only download software or any other files from trusted websites only. Before entering sensitive information see if the site has (HTTPS). Read reviews and do some research before installing anything on your machine. Keep all software and OS up-to-date. Use your common sense while browsing online. Scan any flash drives, SD cards, etc. After that open their contents and files. Please read our How to Guide on Malware Removal for Windows, if you get infected to remove any malware infections easily and utterly Free from your PC. By following the above steps, we can guarantee you that you will never have to worry about Malware again. Just remember to keep your eyes open, be very careful about what links you click and what programs you install. 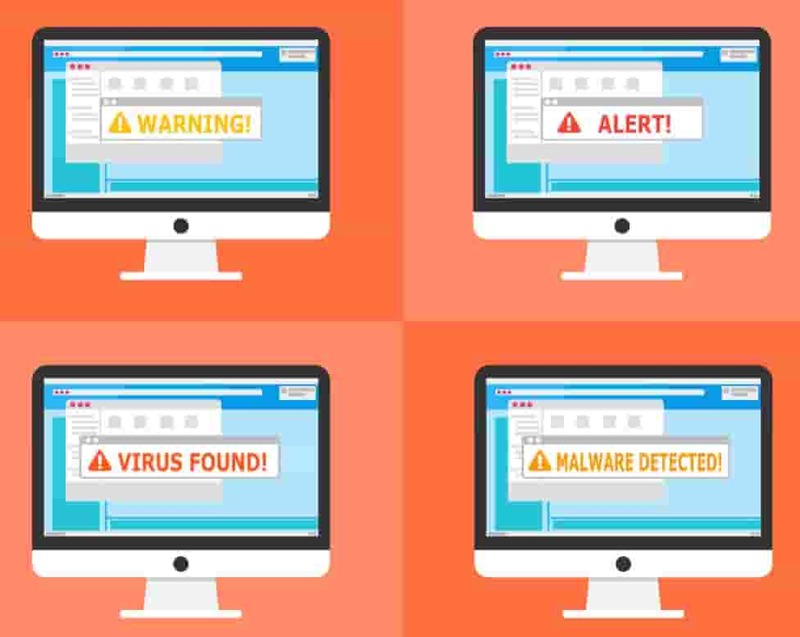 In this article, you have learned about How to have a 100% Malware Free Windows PC and How to Avoid Malware Infections. Have any other tips on avoiding Malware Infections and keeping Windows safe? Do let us know below! Some antiviruses now come with a VPN, but usually, they are very costly, I bought Surfshark. It’s a new player in the market and sometimes it’s frustrating update pop-ups happen often, on the other hand, the development team is working hard to keep this software well maintained. It comes with the CleanWeb feature, which gives AdBlock + malware protection, also blacklists potentially dangerous websites, a very useful security tool overall.